Scientists at the Hohenstein Institute have come up with some design tips on how to make sportswear that provides the best possible protection from harmful UV radiation and the heat of the sun, while at the same time being very comfortable to wear. As part of a research project on The total energy transmittance of clothing, the team been researching how the structure of the textile and the length of the garment affect people’s thermal comfort in intense sunlight. The results of the work are expected to give sportswear producers and retailers the opportunity to open up new product segments with an improved kind of garment. For end users, these textiles can offer a better way of protecting themselves from skin cancers, such as white skin cancer. In summer, endurance athletes and people who work mainly outdoors are exposed to direct sunlight for several hours at a time and so they have to protect themselves from harmful UV radiation. Long-sleeved clothing and sun blocking creams do offer some protection from UV radiation, but during intense physical or sporting activity they reduce the dissipation of heat through the skin – and this ultimately affects the wearer’s performance, the Institute reports. On the other hand, short-sleeved clothing allows sweat to evaporate and so cools the body down, but it offers no protection from either carcinogenic UV radiation or infrared thermal radiation. The aim of the research was to examine systematically the relationship between thermoregulation and sun protection. The innovative concept at the heart of the research project was that the scientists would, for the first time, study the effect of textile construction on clothing physiology properties, UV protection and IR protection. 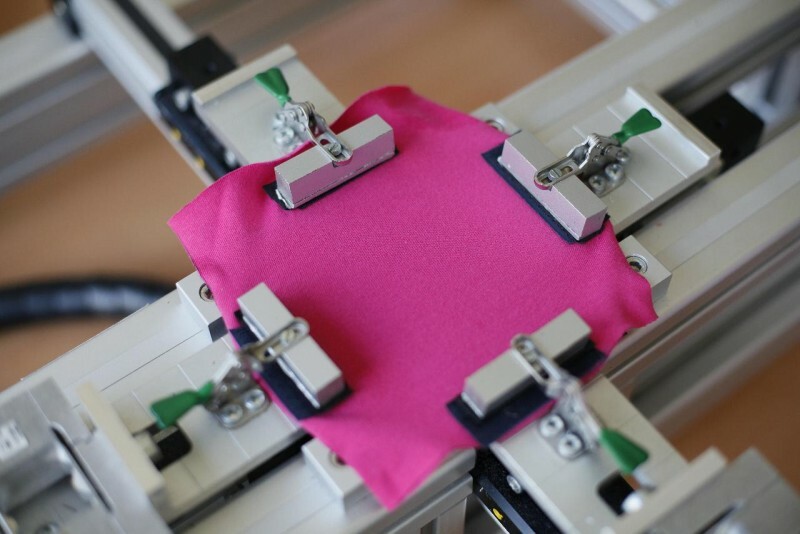 In the first phase, the researchers selected six different textile base materials in which the main fibres were polyester (PES), polyamide (PA) and Lyocell/polypropylene (CLY/PP). Then, these were treated with red and black dyes and three UV protection agents. The textile samples were tested for their UV protection under UV Standard 801 and for the protection they offered against hot sunshine in accordance with DIN EN 410 (total energy transmittance). As a next step, the samples that were particularly good at thermoregulation were made into shirts and trousers with sleeves and legs of different lengths. These garments were worn by a thermal manikin, were exposed to a specific amount of heat radiation to simulate warming by the sun – which varied depending on the length of the garment. Finally, following evaluation of the laboratory tests, wearing trials were carried out using volunteers, to further validate the best test samples. It emerged that the ideal blend of fibres should consist of CLY/PP/PA, because fabrics made of CLY/PP are very comfortable to wear and, when combined with PA fibres, also offer a high degree of UV protection. Dyeing the textiles red or black significantly increased the UV protection compared with the white samples, and proved to be more effective than applying the chosen UV-protection agents to the textile. At the same time, less heat passes through the red and black textiles, but this is at the cost of more heat being absorbed by the textile.